The Wet Mountain Valley area offers numerous activities within a short distance of Grape Creek RV. These include hiking, climbing 14,000-foot peaks, biking, horseback riding, fishing, ATVing, and jeeping. 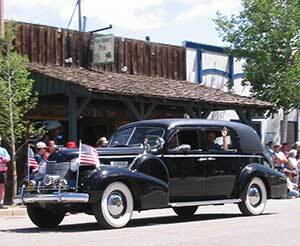 Westcliffe offers golfing, bowling, shopping, theater, and eating out in a variety of restaurants. 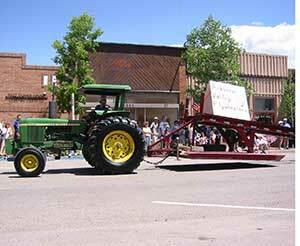 Entertainment and events include bluegrass, western, and cowboy concerts, rodeo, parades, square dancing, and more!! The blog Mud-on-the-Tires Full-time RV Adventure is a great guide for those who want to explore and fish in beautiful mountain places accessible a short distance from Grape Creek RV Park. Frequent RV guests, Arleen and Shawn have assembled maps, beautiful photos, and commentaries on eight hikes, including start-finish times, GPS coordinates, and a table summarizing distance (miles) and ascent feet) for each hike. 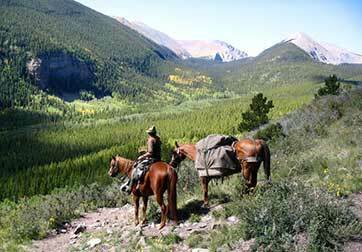 Bear Basin Ranch is located near Colorado’s Sangre de Cristo Wilderness area, about 20 minutes from Westcliffe, Colorado. 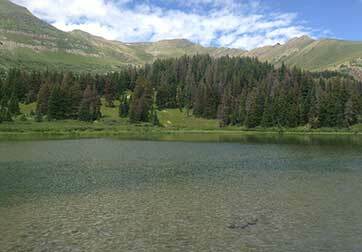 Bear Basin offers a variety of quality outdoor adventures for all ages and abilities. 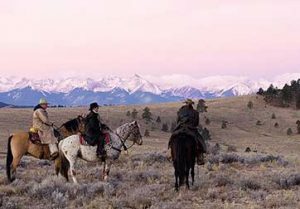 On dramatic alpine trails, explore lush valleys and remote mountaintops, all on Colorado’s best mountain trained horses. Discover the history, flora, geology and wildlife of the ancient Wet Mountains and the towering Sangre de Cristos. From a variety of day rides to carefully planned weekend getaways, trips can combine riding adventure with climbing, rafting, or secluded hot springs. 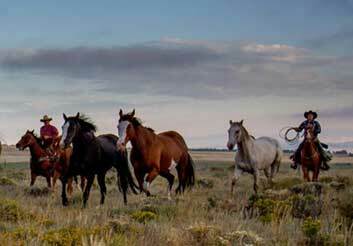 Anyone with a bit of basic horse experience can enjoy these trips. Pack trips and Day Rides begin with hands-on instruction on saddling and care of your mount. 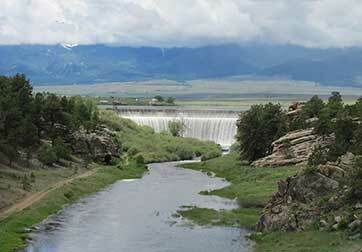 Westcliffe’s DeWeese Reservoir, a few miles northeast of town, is primarily a trout fishery stocked regularly with catchable rainbow trout, but it also stocked with put-and-grow McConaughy rainbows that have been growing fast and large due to the reduction in the sucker population. 16-20 inch rainbows are not uncommon. 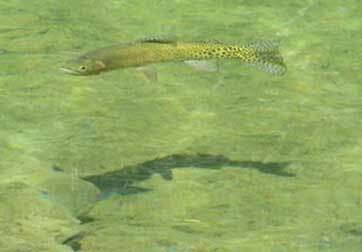 Short sections of Grape Creek above and below the lake are accessible for stream fishing. The lake is open to boating year-round if conditions allow, and fishing is allowed at all hours. Music Meadows Ranch offers an authentic Colorado Ranching experience, a taste of what cowboys and cowgirls actually do for a living! The Ranch offers a variety of riding experiences centered on its operation as a working cattle ranch. Enjoy a half-day ride or partner with a well-trained, working quarter horse for a full day of riding at various speeds. Your job may include moving cattle to fresh pasture, sorting out the cattle that need doctoring, or even participating in a branding. 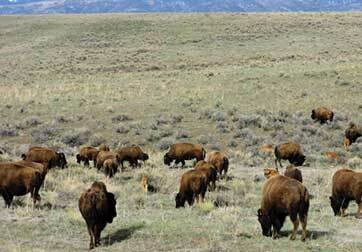 All the while you are riding through unparalleled scenery with wildlife galore! Lunches are provided. Lake Pueblo State Park, about 45 minutes east on Highway 96, offers boating, fishing, boat and jet ski storage, and many activities. 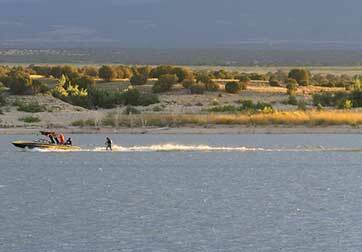 Lake Pueblo, rated a fishing “hot spot,” provides over 4,600 surface acres of water, 60 miles of shoreline and almost 10,000 acres of land. Along with the sunny days and a mild year-round climate, visitors quickly learn that one day is not enough. Lake Pueblo Trails, are open to hikers, bicyclists, and equestrians. 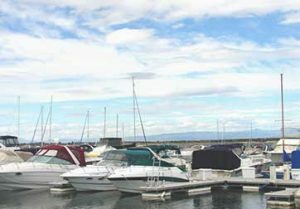 South Shore Marina, family owned and operated since 2001, offers boat rentals, maintenance, boat slips, jet ski docks, activities for adults and children, a general store, and patio with barbecue grills. 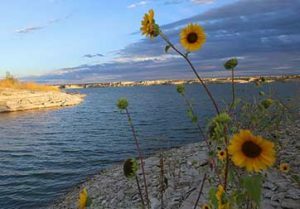 The marina is located on the south side of the Pueblo Reservoir at Lake Pueblo State Park, one of Colorado’s most popular water sport and fishing destinations featuring over 60 miles of shoreline and 4,500 acres of surface water. The views from the marina are spectacular: an unobstructed panorama frames Pikes Peak amid the front range mountains in the distance beyond picturesque Lake Pueblo. 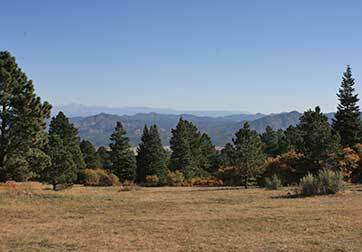 The Royal Gorge Region is located just 45 minutes north of Westcliffe. The Royal Gorge is host to a number of world-class activities and attractions, including the Royal Gorge Route Railroad, Colorado’s premier scenic train that offers the very best view of the dramatic Royal Gorge with a focus on a quality experience. All these are a short drive from your RV at Grape Creek. Royal Gorge Route Railroad train is owned and operated by a Colorado family that gives back to the community, provides emergency services to the rafting community, works to clean up the river for safer boating conditions, and believes in quality customer service. The family business is widely respected in the tourism industry for providing a quality experience, and it shows. Just when you think the scenery can’t be beat, you’ve got the option of dining aboard WHILE enjoying the breathtaking scenery of the Royal Gorge. This train is world-class and over 100,000 people ride it each year! Colorado’s most popular river, the Arkansas River, runs through the Royal Gorge region offering exciting rafting trips for all ability levels. 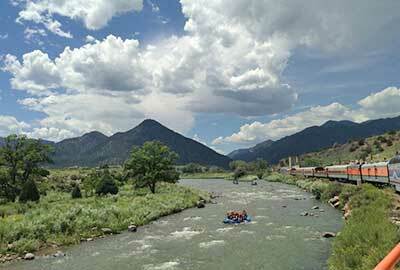 Another popular option is the Raft and Rail package combining a raft trip and railroad journey through the Royal Gorge. The Royal Gorge Route has chosen three rafting companies to provide the ultimate adventure package. Each company offers a different option of raft and rail. For additional information, visit Raft and Rail. 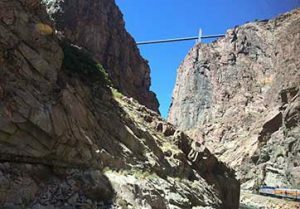 Royal Gorge Bridge is the highest suspension bridge in North America, and the views are impressive. Included activities include the Gondola, children’s playland with a carousel, Plaza Theater, and walk across the bridge. Extra pay features include the Royal Rush Skycoaster and Cloudscraper Zipline. The Winery at Holy Cross Abbey. A dream of some simple Benedictine Fathers, a fine winery located on the grounds of the historic Holy Cross Abbey in Canon City, Colorado. Today, that dream is a reality, and the staff at the winery proudly invites you to share in the vision of those dynamic and innovative monks. Since July 2002, The Winery at Holy Cross Abbey has been attracting visitors from all over the world. Located on the pastoral and serene grounds of The Holy Cross Abbey, nestled against the spectacular backdrop of the Wet Mountains, the winery and tasting room are shining examples of what draws visitors to Cañon City and Fremont County. 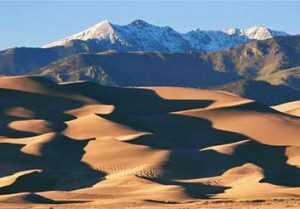 The Great Sand Dunes National Park and Preserve to the Southwest is accessible via car or highway-legal 4WD vehicles; ATVs are not permitted anywhere in the Park or Preserve. Adventure lovers with 4WD vehicles can reach the dunes via the Medano Pass primitive road, off State Highway 69 South, just past Wolf Springs Ranch. Mosca Pass Trail, accessible from Gardner, Colorado, is a 7-mile lightly used hiking trail to the Great Sand Dunes. 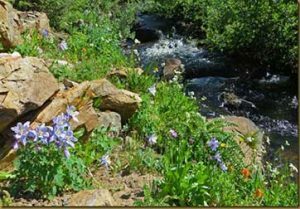 Located near Mosca, Colorado, the Trail features beautiful wild flowers and is rated as moderate. The trail offers a number of activity options and is best used from March until October. Dogs are are permitted but must be kept on leash. 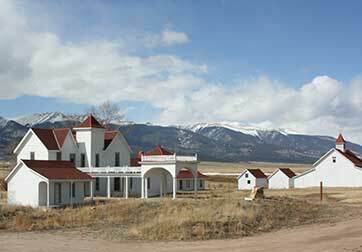 Bishop Castle is outside Wetmore, Colorado, on the edge of the San Isabel National Forest. 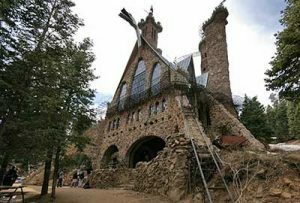 For 40 years, Jim Bishop has been building a castle on a mountainside in central Colorado. Every year since 1969, he has single-handedly gathered and set over 1,000 tons of rock to create this stone and iron fortress in the middle of nowhere.